You may have heard recently about something called net neutrality and be wondering what the heck it is. Well allow me to answer those questions for you. I know this isn’t specifically about LEGO, but net neutrality directly affects FortLUG’s ability to reach you through this website. Net neutrality is a very important set of rules applied to all internet providers that the previous FCC implemented in 2015. It is a consumer protection mechanism that guarantees your ISP can’t block or throttle your legitimate internet traffic or receive payment to prioritize someone else’s traffic over yours. It also provides a mechanism for internet consumers like you and me to file complaints if we feel we are being treated unfairly. Net neutrality is important to have because broadband internet service in many areas exists as a regional monopoly. A “top-down power grab” by the previous president. Why should I care about net neutrality? Without net neutrality, your ISP would be able to pick and choose which sites and services you can access over their network. Do you like Netflix, Hulu, or other streaming video? Too bad. It competes too well with your ISP’s premium (read expensive $$$) cable TV and on demand options. Do you like buying or selling LEGO parts on Bricklink, eBay, or any other alternative online marketplace? That’s unfortunate, because LEGO could pay to prioritize traffic to the LEGO Shop, leaving any aftermarket sellers at a disadvantage. Are you reading this website right now? Aww, I’m sorry. 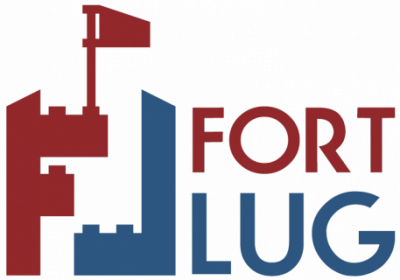 FortLUG makes little to no money, so we’re gonna be stuck in the slow lane. What can I do to show my support for net neutrality? 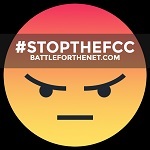 Contact your congressional representatives in the Senate and House and tell them you value a free and open internet, protected by strong net neutrality rules. More information about net neutrality and how to help can be found at the links below.